You know that feeling when you finally reached a destination you’ve missed on a previous trip and you cannot help but to be so excited of the prospect of visiting it? This is what happened to me when we went to Tierra Alta Resort. Well, I’ve been looking in the internet for some details about the lighthouse I saw on our previous trip. So the anticipation of finally being able to visit it on our way home from Sqiujor was stimulating my otherwise tired body. Truth be told, it was a bit out of the way but we had several hours to spare before our scheduled departure. And this pretty much cost us a few minutes of panic attack on our way, TBH. But, that’ll be another story for another post. 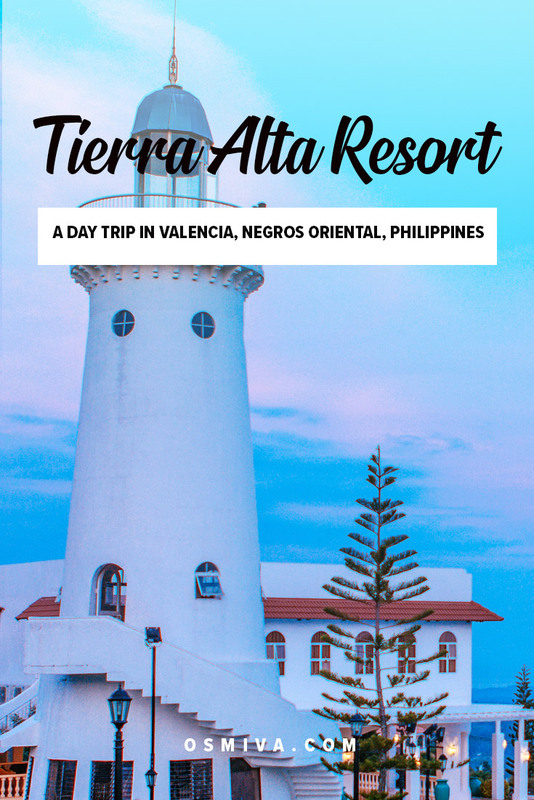 If you are headed to Negros in the Philippines, one of the quick stops you can enjoy is spending it at the Tierra Alta Resort in Valencia. 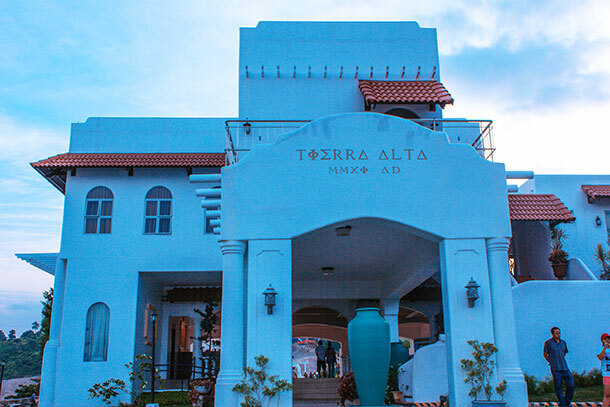 Tierra Alta is actually a residential area, a residential resort to be exact. What draws tourists here is its Greek-inspired clubhouse. 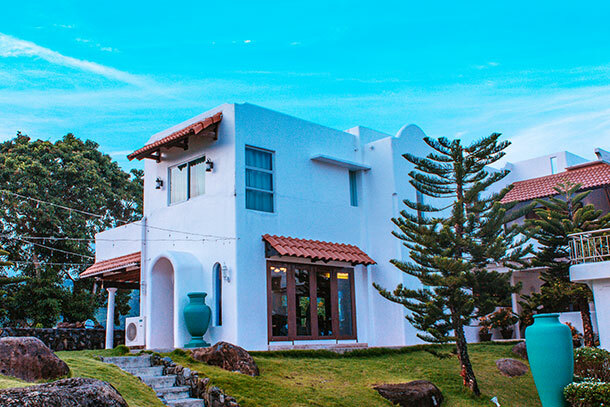 The clubhouse, like the area, is situated in the mountainous area of Palinpinon, Valencia, Negros Oriental. What’s nice about it is that it isn’t exclusive for the resort and walk-in guests are welcome. To get here, you can either drive a private car or motorcycle or take the local tricycle to take you. If you are driving around, you can easily follow this map to take you. We had somebody take us here (a local friend of a friend who graciously gave us a ride). 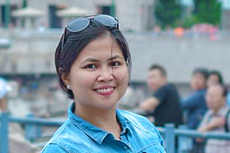 Our starting point is from the Dumaguete City Port to make it more easier to navigate. If you are alone or with a group and would rather commute, you can hire a tricycle from Valencia or from Dumaguete City. Prices may vary especially if you are coming from Dumaguete City and would choose to hire (exclusively) the tricycle for the entire trip. If you’d rather hire the tricycle from Valencia, simply ride the local jeepney to Valencia from Dumaguete City and alight at the terminal. From there, look for a tricycle to take you to the resort. When we were there, fee was at 100 Php (one way) for one person. You can negotiate (on both options) with the driver to either wait for you or just pick you up at an agreed time. 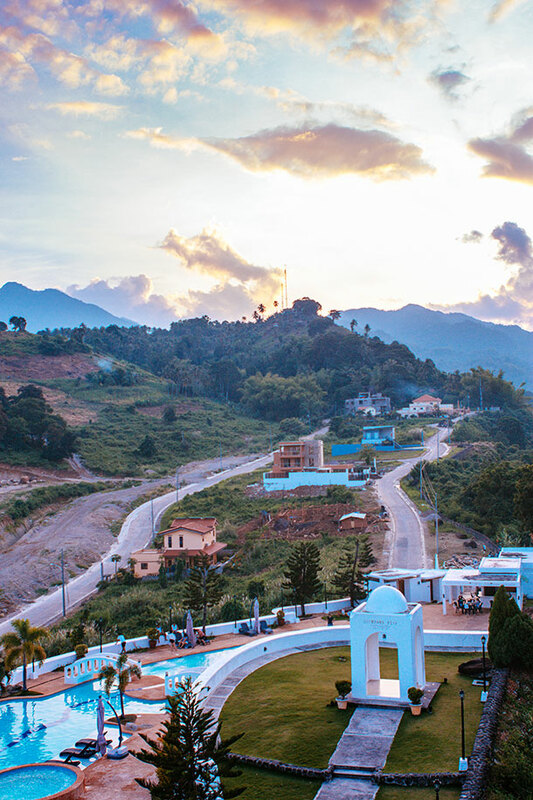 Basically, expect to be impressed by the clubhouse’ white-washed walls, open area, fresh air and inspiring landscape. It has it’s own unique vibe that I’m pretty sure you’ll love. When we went there, we were stopped at the gates of the subdivision where the Security Guards asked for an ID. One of our companions left his and we were ushered in. If you have a vehicle with you, the clubhouse has an open parking space at the front of the entrance. 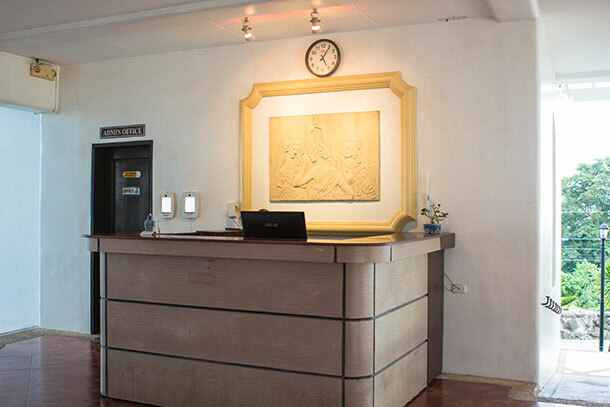 You can inquire directly at the receptionist, located at the entrance, for those who are going in for Day Use. 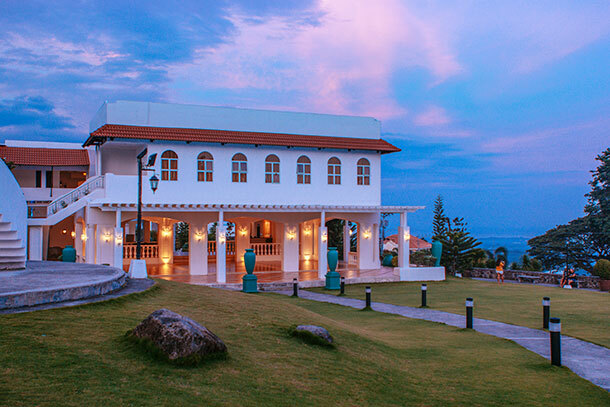 Tierra Alta is not just a clubhouse but a weekend-getaway in its own right. There are several things you can do here for a day or just a quick short visit. 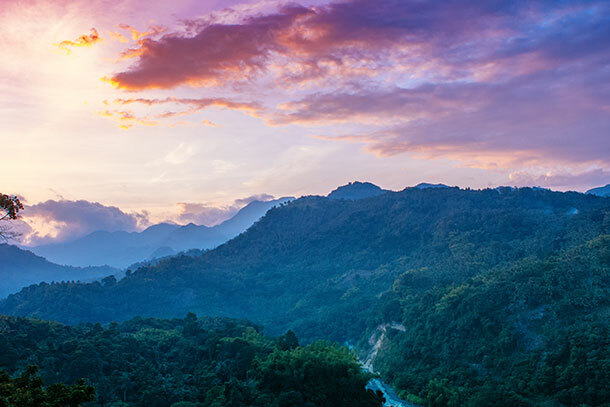 If taking gorgeous photos are your thing, you’ll be happy snapping away at the resort. It’s Greek-inspired facade are favourite backdrops for pre-nup pictorials and, well, IG-lovers out there. 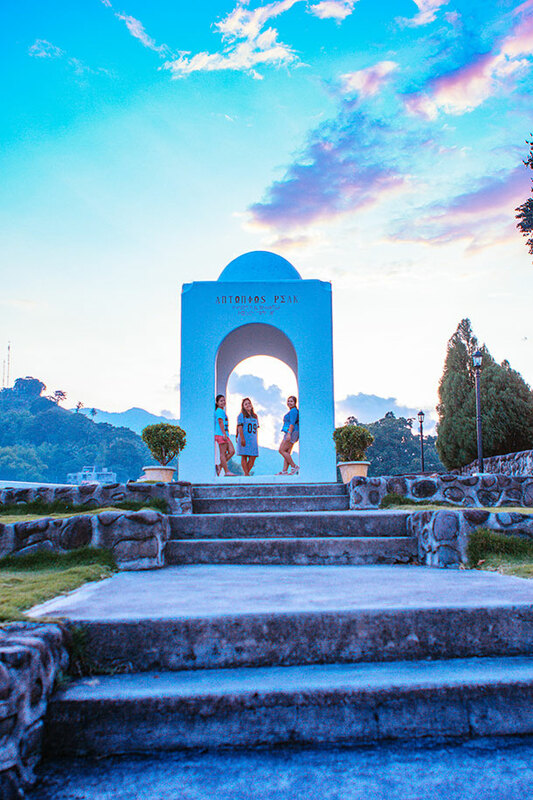 There are great places to take your photos in, including at the Pavilion, Antonio’s Peak and near the pool. You’ll also enjoy capturing cute photos inside, beside and on top of the Lighthouse. You’ll be paying for an entrance fee of around 50 Php, but you can waive this if you are buying food from the restaurant (that is for quick visits like we did). The Tierra Café is located right in front of the reception area and can’t be missed. They serve Mediterranean cuisine infused with American and Asian flavours. The rates are reasonable enough for restaurants of the same type (around 200 Php ++). We had ourselves some heavy lunch back at Siquijor so we were a bit full when we went here. Nevertheless, we ordered some salad and burgers for sharing, since we will be on our way back to Cebu later in the evening. The serving was generous enough for two persons so we were able to save some cash. If you are visiting for the day, might as well enjoy the resort’s Aquatica Pool. As of writing, rates are at 500 Php for Adults (with 200 Php consumable at the restaurant) and 350 Php for children (with 150 Php consumable). We never got a chance to enjoy the pool ourselves, but it was spacious and very inviting. You can also dine near the pool if you prefer a more outdoor feel. 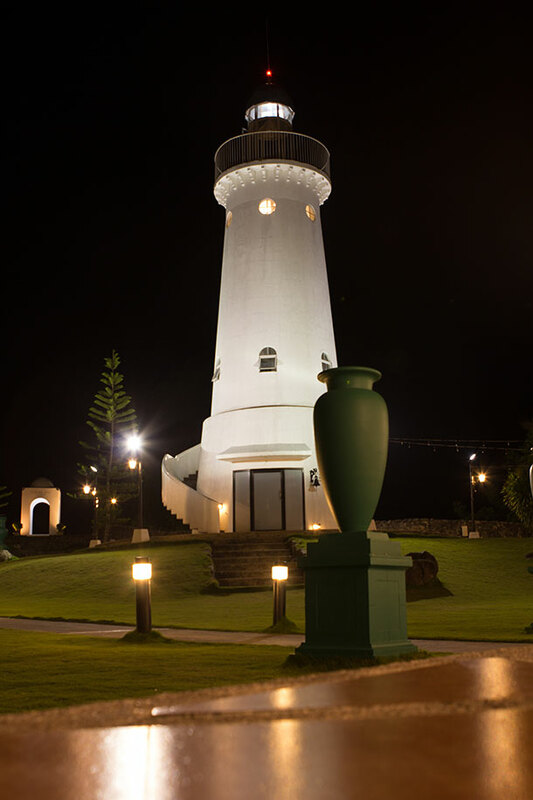 One of the main highlights of the Tierra Alta Resort is its lighthouse. It was definitely the structure that caught my eye when we were passing through during our previous trip to Dumaguete. We were heading home from the Pulangbato Falls then and the lighthouse was dominant in the area. When we visited Tierra Alta, I was pretty eager to see it up close and be able to climb on top of the structure. I was anticipating the beautiful views from the top. But, there was an on-going construction near the resort when we visited so it was a bit of a drawback to the otherwise beautiful view. Nevertheless, the moment was refreshing and was a great way to unwind after our Siquijor Mountain Tour earlier that day. If you have more time, why not book a room with the resort’s boutique rooms. As per their website, they only have around 5 rooms available at the moment, so if you are interested, be sure to book in advance. Room rates starts at 2,500 Php which already includes complimentary breakfast and of course access to the pool and restaurant. 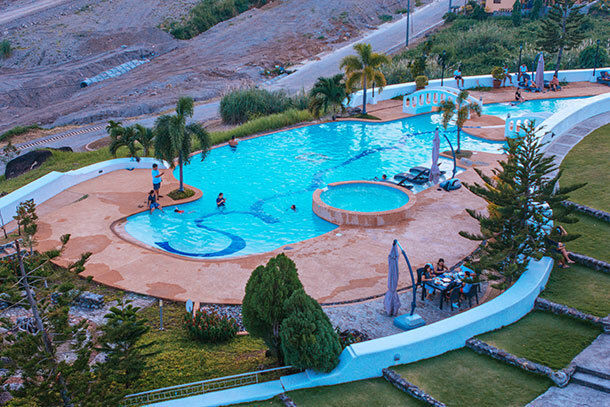 For adrenaline junkies, you can also try the resort’s ‘Rush Zipline’. It is considered to be the first and longest zipline in Negros Oriental extending a total length of 600 meters. You can choose from riding styles, namely: Superman, Tandem, Sitting and for the extreme lovers – Inverted. Rates start at 250 Php for solo and 400 Php for the tandem. The zipline is only available from Tuesdays to Sunday at 9 AM to 6 PM so take note of that. Like previously mentioned, we just got back from Siquijor when we decided to stop at Tierra Alta for the last leg of our Siquijor Trip before going back home to Cebu. We had a friend of a friend who gave us a ride so the transportation going there and back was pretty much convenient. We arrived in Dumaguete at around 3:56 PM. After inquiring at the Ceres Terminal we were on our way to Tierra Alta Resort by 5:30 PM. Upon our arrival we took the time admiring the resort’s facade. Not wanting to be left out, we climbed the lighthouse, spent a couple of minutes chatting away happily on top while enjoying the view. When other guests were starting to climb up behind us, we felt it was time to go down and enjoy the other areas in the resort. By 6:30 PM, we were already seated at the Tierra Café for some light dinner. When we were done, we went out hoping to enjoy the evening lights. Unfortunately, it was already drizzling by then and we were forced to take shelter at the main building. We, of course, took the opportunity for some photo ops and chat a little bit.. One of our companions lost his key (if I’m not mistaken) and we had to help him a bit too. Thankfully, he found it and all was well! We left Tierra Alta at around 8 PM with a full belly, awesome photos and great memories! So, what do you think? Fancy a day (or two) here? I love the lighthouse. It is very Instagramable. It shows up beautifully in all kinds of light. The view from the top is pretty dang good too. I love lighthouses. They’re so beautiful and usually offer great views! It’s a bummer that there was construction nearby. Agree.. I’m pretty sure the view would’ve been more beautiful! I was pretty much excited.. 😉 Thanks Ketki! The views from the lighthouse are gorgeous. And that pool! I might just stay there all day! What a great find! It looks like a beautiful resort. The aquatica pool is so big! My kids would love that and the zipline. I’m more for exploring myself 🙂 Having lived near the Atlantic for most of my life I just love lighthouses. This one is wonderful. It also has incredible views from the top! That lighthouse view is certainly a winner and clearly the resort banks on the lighthouse being photographed in all kinds of light … it photographs very well. This looks like a superb place to stay. The aerial view showing the pool is amazing! Wow, I would just lounge by and in that pool the entire time. Really pretty. I would definitely book a room at Tierra Alta based on those photos. It’s beautiful! I would also most definitely zipline as it’s one of my favorite activities! I’m sure you’ll love it Heather! This is amazing! Philippines is on my list for this incredible scenery. This is the first time hearing about RUSH zipline, will need to check it out to see if its for me, hahah. 2k budget is it fit to go to alta tierra?